If you find Apple’s default method of unlocking your iOS device a little cumbersome and overused then one of the latest tweaks to land in Cydia could provide some comfort. 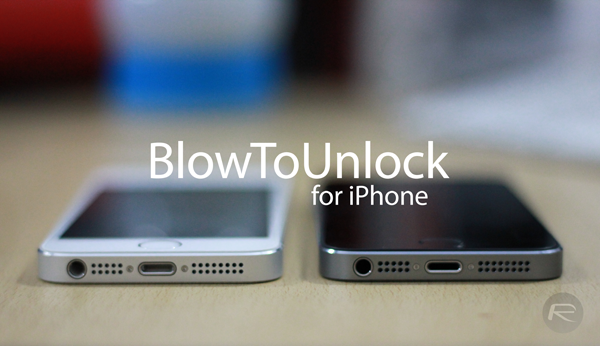 BlowToUnlock is a new tweak for jailbroken iOS devices that allows the hardware to be unlocked and accessed when a "blow" of air is detected on the device’s microphone aperture. In short, you can hold the device up to your mouth, blow into it and expect to get immediate access to the device without going through the traditional Slide to Unlock process. Like most decent tweaks that find themselves in Cydia’s repositories, BlowToUnlock comes with its own preferences panel that can be accessed through the native Settings app. Configurable options include enabling or disabling the tweak, changing the sensitivity of the expected input as well as selecting the required behavior when the input is detected, which in this case is either unlocking the device or just waking the device up and activating the screen. Not exactly mind-blowing functionality but simple enough to get the job done. It’s unlikely that BlowToUnlock will become one of those "must-have" packages that jailbroken users simply can’t live without. With that said, it’s always interesting to see developers take a different approach to achieve something that is actually necessary and built into Apple’s mobile operating system. Those who download and try to use this tweak may find themselves getting a little infuriated, because the package uses the microphone on the device which is prone to a couple of issues. Firstly, the output is achieved when an audible input is recognized. Environment noises beyond a user’s control could cause BlowToUnlock to be invoked. Additionally, because the package permanently monitors the microphone on the device it’s likely that a significant drain on battery life could be noticed if the tweak is used for a long period of time. The package isn’t going to change your life. It certainly isn’t going to become one of Cydia’s must-have installations, but it’s free-of-charge, fun to use and is available to grab now from the BigBoss repo. 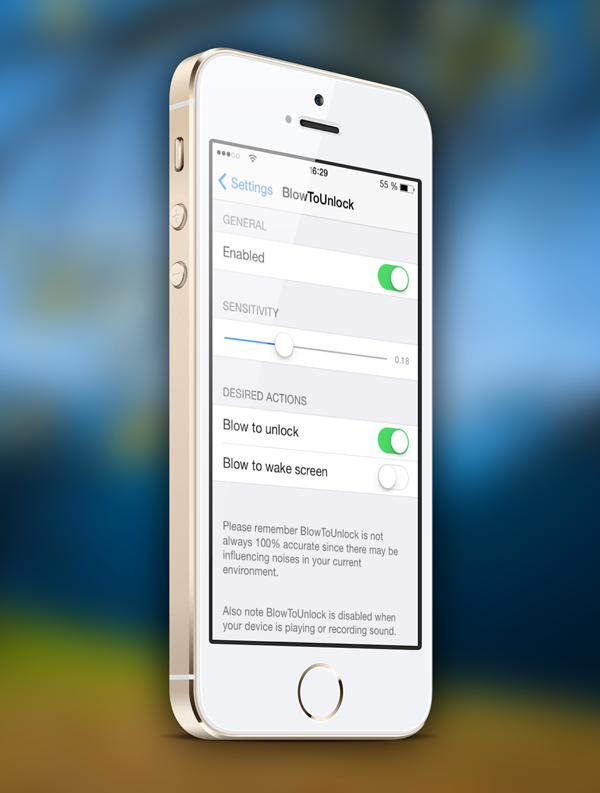 BlowToUnlock is available as a free-of-charge download from the BigBoss repository. The tweak requires a a jailbroken device running iOS 7.0 or above. There are wheelchairs that are operated by blowing through a tube for quadriplegic individuals. Maybe this tweak, along with other accessibility features, could help some people otherwise unable to use the device. Guys! I think the best of bestiphone ՍΝᏞΟᏟΚing service on the web is just google atttiphoneuunlocking. we are in a job to ՍΝᏞΟᏟΚing the phones that is bared or bl0cked via the carrier.